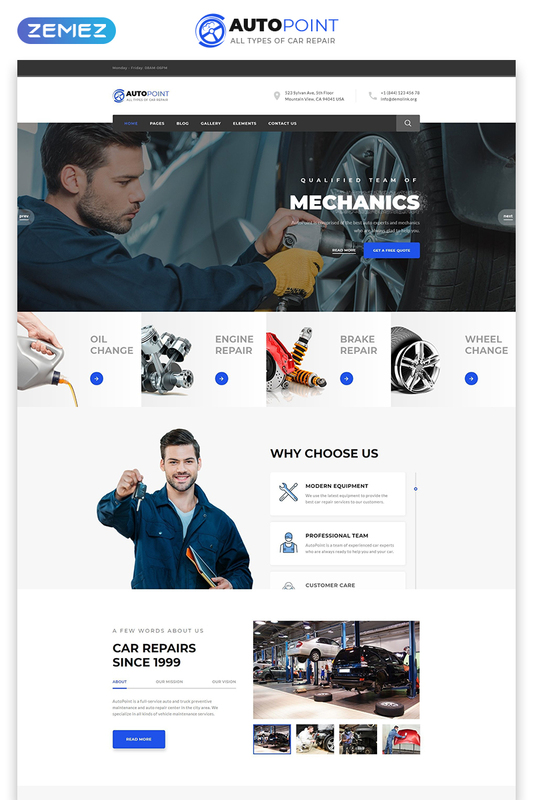 Car repair business requires many clients and you can find them online. 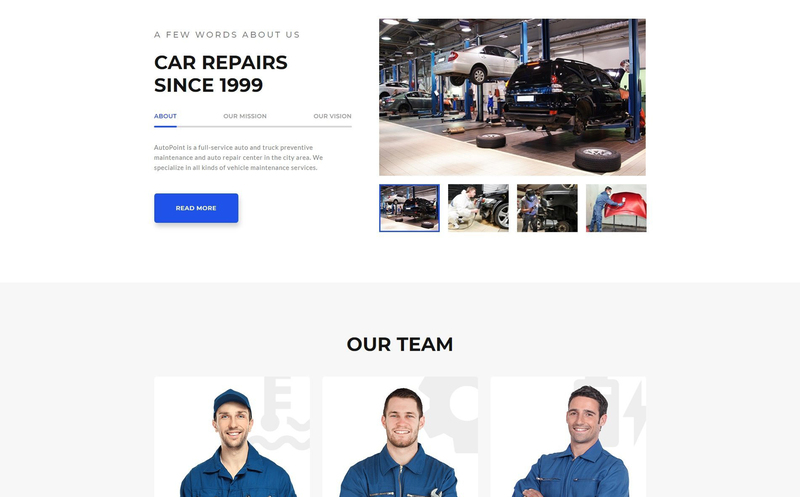 Many clients and customers start a search for car repair online because you can find testimonial and additional info about repair company. And for you, it is a great opportunity to attract more clients. All you need is a good website. 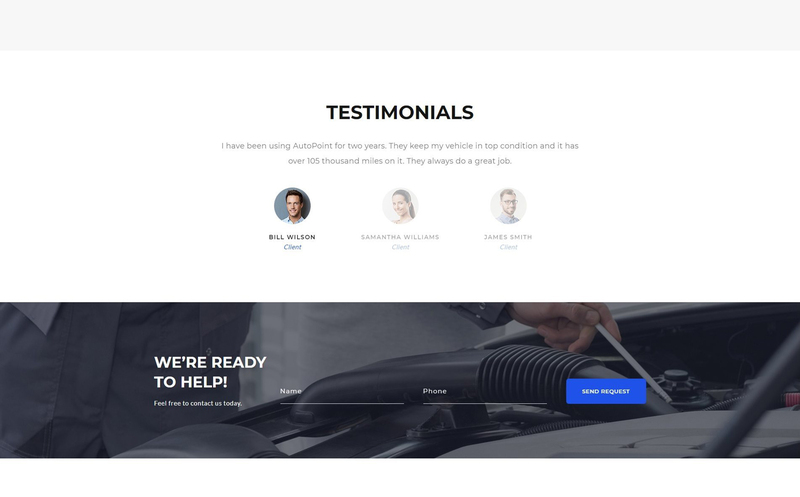 And this is why we present you an Autopoint Multipage HTML Template. 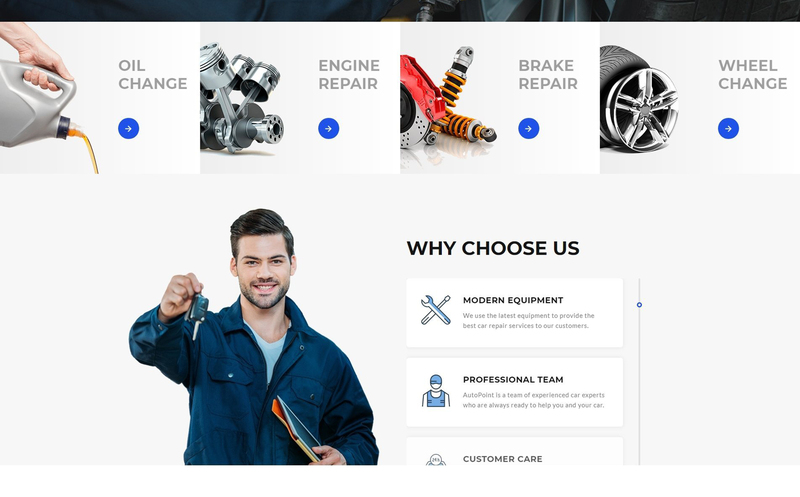 Developed especially for car repair shops it has a clean, yet an eye-catchy design that highlights the most important information and presents services in the best possible way. 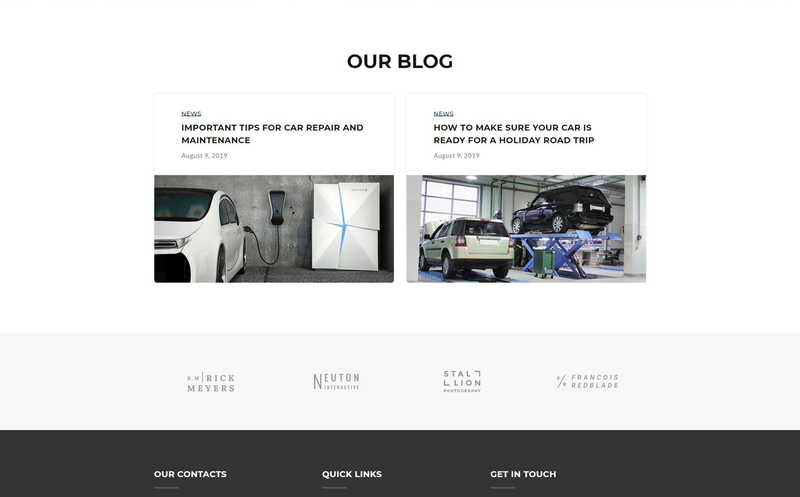 It is a well-structured website template with many pre-built pages and you can fill them with content. It provides customers with intuitive navigation and creates an atmosphere of trust. It includes many visual options you can use to decorate the website. Moreover, you need no coding skills to edit a website. All you have to do is simply drag and drop elements. You can impress clients with visuals included in a gallery or Blog about the latest news. 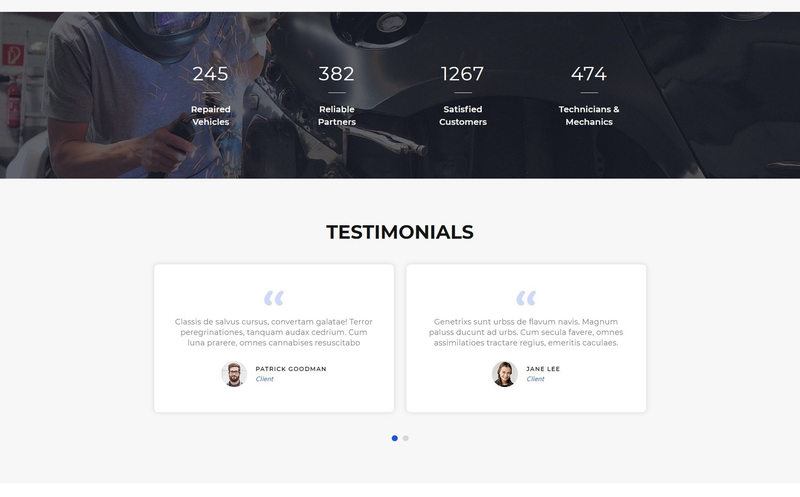 It also has social options, testimonials, and many other features. You can find out more on the product page.